I have an extra special interview today, with the infamous Queen of Contemporary, Lucy “the Reader” Powrie! Lucy is a blogger and vlogger, and is a force to be reckoned with in the UKYA community, having kickstarted many, many incredibly successful campaigns such as Project UKYA, UKYA day and #UKYAChat– she’s definitely earned the title of queen! Apart from that she’s a really lovely, sweet person – I’ve filmed a couple of videos with her and had the best time ever. I’m going to be the guest author in tonight’s #UKYAChat on twitter, starting at 8pm. We’ll be discussing what the definition of YA really is, so don’t miss out on that! I was 12 when I first started my blog and the community was a lot smaller then so it was easier to get started: there wasn’t so much pressure to have super high numbers immediately, and it wasn’t too well-known. I sat down, made my blog on Blogger (I now use WordPress), and made a cringe-worthy first post. The rest is history! Does vlogging vary from blogging in content and audience? Which do you prefer? My enjoyment of both varies from one month to the next. My creative process is pretty similar with both. I’ll have an idea and then I work out if it will work better as a blog post or a video. After that I procrastinate a bit too much, and then I’ll get to work on transferring the idea from my brain to the Internet. I think my audiences are different – some people read my blog but don’t watch my videos, and vice versa. That being said, I’m sure there are people who read and watch both, and some who only follow me on Twitter but don’t read my blog or watch my videos. Getting to meet lots of lovely people who then become friends! I’ve met so many people (including you, Lauren!) who I have lots in common with and it’s lovely to get to meet everybody in the flesh at events and gatherings. I’ve been able to get to know some of my favourite people in the world, and also figure out what I want to do later on in life. I’ll forever be grateful for that! What causes do you feel most strongly about supporting with your blogging? I’ve recently started a new series on my YouTube channel where I talk about topics relating to feminism. I’ve been discussing menstruation, what it means to be a woman on the Internet, and giving feminist book recommendations. Feminism is something that I feel very strongly about, and I like to think I have something different to say from many other people on the Internet, as I’m a teenager. It’s important to me that I speak honestly about the things I’m most passionate about! You recently did some work experience in a bookshop! How did you find it? How did you go about asking to work there? I LOVED it! It was amazing to be surrounded by books for the week and I learnt so much. I got to unbox the books each day and put them out on the shelves, speak to a sales rep from a publishing company, and serve the customers. It definitely gave me a greater appreciation of books! I was lucky as they don’t usually take work experience students, but I mentioned my blog and that I would like to work in publishing in the future, and they were happy to take me. Writing, unfortunately, always comes last in my list of priorities. Whilst I love writing, my blog and YouTube channel need constant work, so I find it hard to find the time to write. I am currently working on a novel that deals with mental health and alcohol abuse, but I’m not very far into it at the moment. Hopefully I’ll finish it one day! Maybe for NaNoWriMo this year? 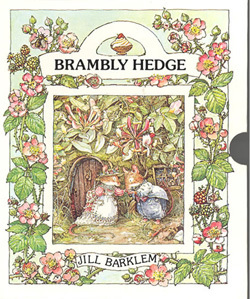 I grew up reading the likes of Beatrix Potter and the Brambly Hedge books (which I re-read this year!) – I’m an animal lover, so anything that has amazing illustrations and talking animals is a big hit with me. The first YA books I read were Meg Cabot’s The Princess Diaries series, and recently I read the 11th book and I love them just as much now as I did then. Has blogging changed your reading habits? Does engaging more critically with literature increase the enjoyment you get from reading? I read far more widely now than I ever did before. Before I started blogging, I would re-read the same books over and over again, whereas now I spend more time reading books that are new to me. I don’t think I read particularly critically – in my reviews, I like to touch upon my enjoyment of a book instead of analysing it to death and sucking out each individual thought I had about the book. I like to treat my blog as a journal, so my reviews are my thoughts at the time of writing or filming them. You recently made a very interesting video about vlogging called ‘Be the change you want to see’. What do you hope to see happen in Children’s publishing in the future? Can I say me in it? 😉 It’s my dream to one day work in publishing! On a more serious note, I’d like to see publishers take more notice of their backlist because there’s a huge potential to use social media to publicise the wealth of books that have been published in previous months and years. This is one of the jobs that bloggers and booktubers do best, so I’d like to see publishers taking notice of this too. There’s also a very big need for children’s books and YA to be featured and reviewed in the media. This is definitely something that needs to be worked on! As a huge supporter of UKYA, what do you think in particular is unique about the UK publishing industry and UKYA? The amazing, unique thing about UKYA readers and the UK publishing industry is that we’re all one big, friendly community. We don’t have any ulterior motives; we get along well and talk about the books we love the most. One of the loveliest things is that it’s still growing! I feel very lucky to be a part of it. 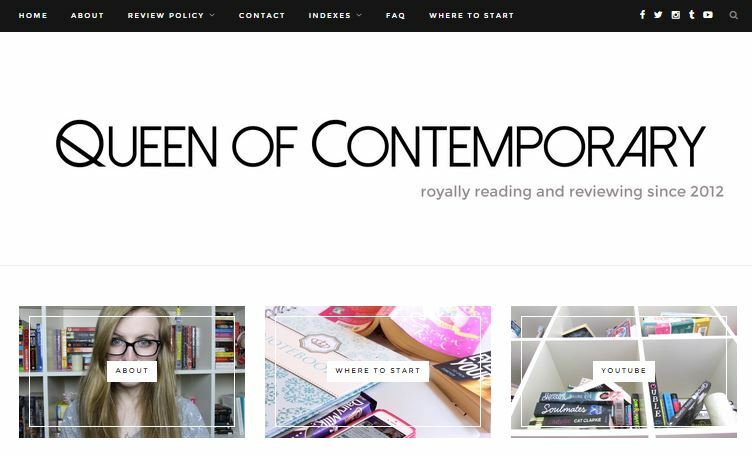 Lucy Powrie is the teenage blogger behind Queen of Contemporary, based in Bath, England. Since her blog’s creation in April 2012, she has won the UKYABA Champion of YA award, and spoken at both the Cheltenham Literature Festival and Oxford Literature Festival. She grew up reading the likes of Bob the Builder and Beatrix Potter and has since advanced to reading young adult fiction. Lucy is the creator and host of #ukyachat, which runs weekly on Twitter. 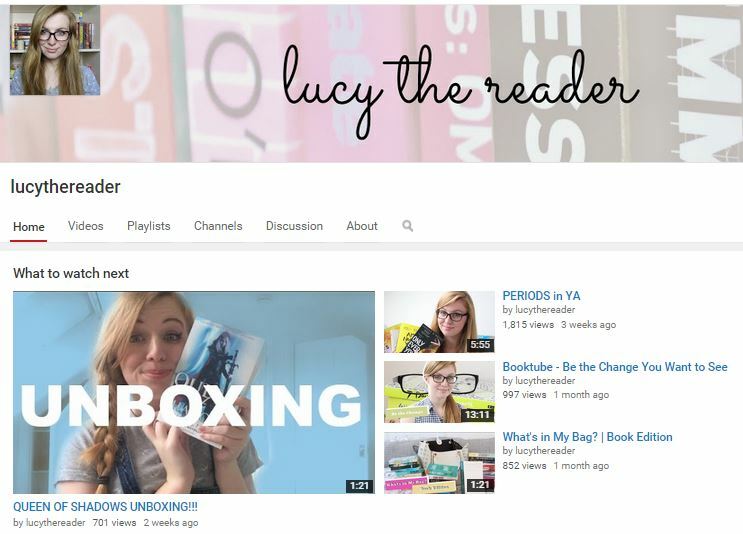 You can find her on youtube, twitter @lucythereader or her website. This entry was posted in behind the book on 18/09/2015 by Lauren James.